Soft close drawer system, drawer depth to take CD/DVD. Back panel wire management cut-out. Also available in Teak. 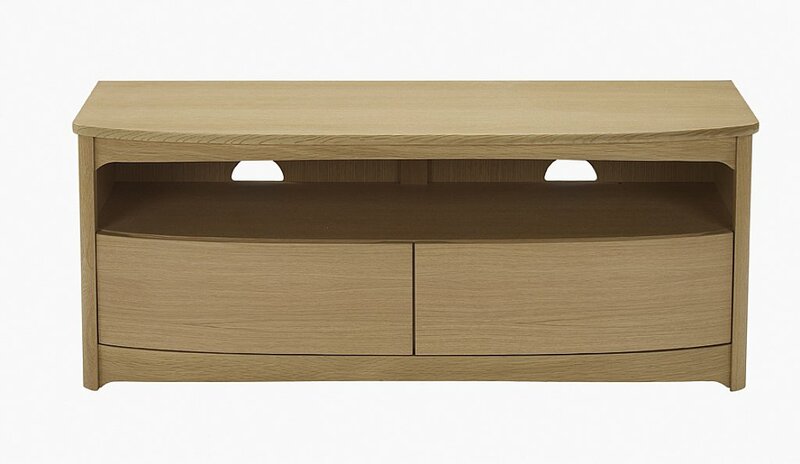 I would like more information about Shades Oak Shaped TV Unit with Drawers by Nathan.